“Here is one of the six finest parish churches in Gloucestershire”. So says the late David Verey, author and architectural historian, and Simon Jenkins in “England’s Thousand Best Churches”. 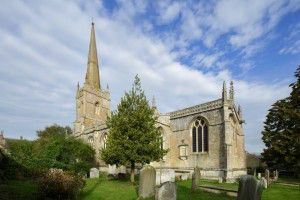 Lechlade Parish Church is a landmark for miles around, set close to the Thames, dominating the market square and with the most beautiful churchyard, which inspired the poet Shelley to write his famous stanzas in 1815. The building which you see now, was completed in 1476; but there was certainly a Church on the same site before that. Only small fragments of this earlier church remain – possibly the font, the figure of St Agatha in the north aisle, and 13th Century piscine in the south aisle. It is known that there was a Church dedicated to St Lawrence in 1255 and that this Church was one of the few in England that had the privilege of sanctuary, but earlier than that we cannot go with any certainty, although there is mention of the parish of Lechlade in 1086 in the Domesday Book. Excavation carried out on the edge of the town in 1985 revealed Christian burials dating from the mid 7th Century AD, so that there is every reason to believe that there was a Saxon Church here. The building of the present Church building began around the year 1472 when Conrad Ney was vicar. The money came from the dissolution of the Priory under Cecily, Duchess of York, mother of King Edward IVth and the inhabitants of the town, including wealthy wool merchants. Cecily, Duchess of York, founded three chauntries to her late husband, Richard, Duke of York executed by the Lancastrians and other members of her family. The Church building is a particularly fine example of a wholly perpendicular style, consisting of nave with clerestory; north and south aisles; chancel with chapels to the Blessed Virgin to the north (where the organ now is) and the south (St Blaise); a particularly fine north porch and tower with spire. The building is of dressed freestone from Taynton Quarry near Burford. 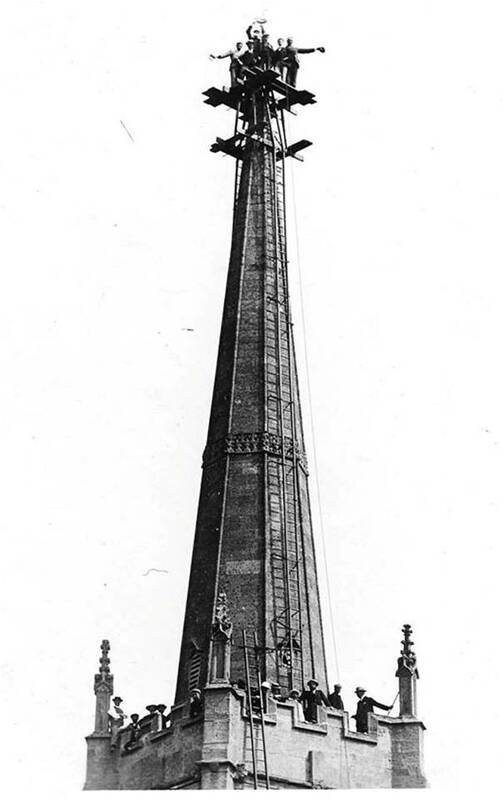 It was the same stone from Taynton which was brought to Lechlade and then shipped down the Thames to London to be used in the building of St Paul’s Cathedral. To listen to an account of the village during the First Word War and the stories behind the names on the war memorial inside our church, please see Paul Cobb’s talk from 11th November 2013 under ‘Sermons’. We also have details of the burials and interments in the graveyard.